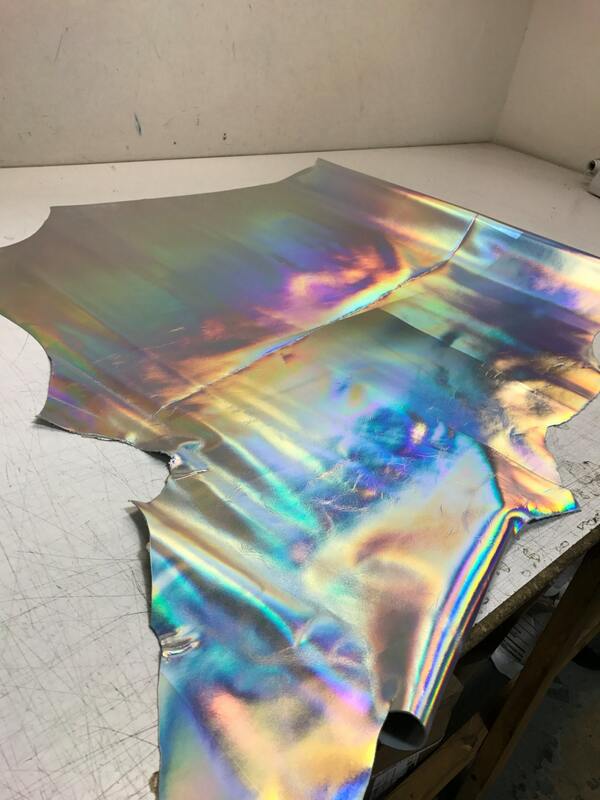 Silver Iridescent Leather: Smooth Full Grain Iridescent Metallic. Perfect for everything fashion!! Our Silver Iridescent Metallic is the perfect item for any handbag, shoe, garment or small leather good! This Italian foil product is the new craze in the fashion world. Full skins average from 18-20 square feet. 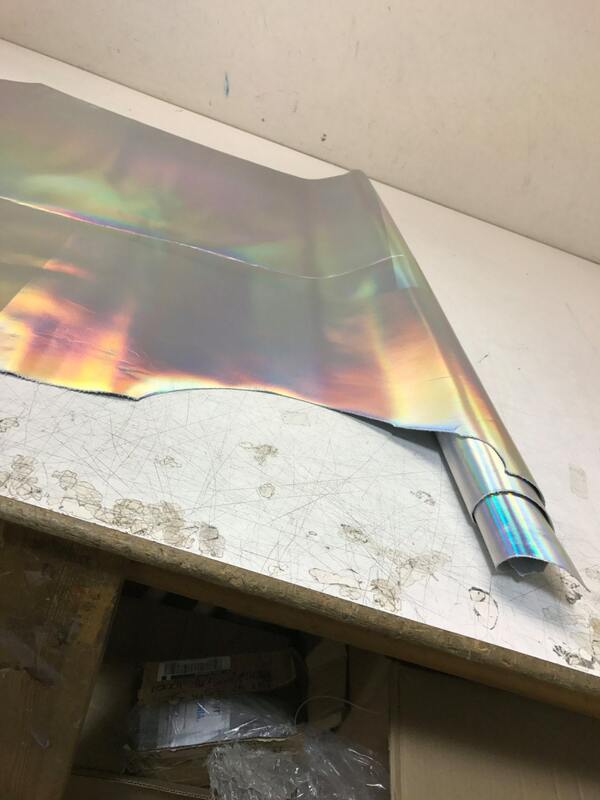 The skins have a straight seam down the middle that must be cut around from the foil application. This is very beautiful leather, and it's perfect for our purposes. Will buy again. Great leather, will work well for my small handbags and accessories. I predict this leather will lead to popular items and I will need to order more!